Regular intense racing rivals who remain close mates, are primed to continue the spectacular return of Canberra trainers into the prestigious TAB Highway series at Royal Randwick on Saturday. Prolific series winner Matthew Dale, ACT stable neighbours, the Barbara Joseph and Jones team, and Nick Olive will target headquarters with strong contenders for a TAB class 3, $75,000 event as the series reverts to the popular 1600m. ACT trainers have won the three of the past four episodes, through Dale, Joe Ible and the Keith Dryden & Scott Collings team. Excitement is escalating two weeks out from the $13 million The TAB Everest, the $1.3 million The Kosciuszko for country sprinters. And, of course, hordes of supporters will be there on Saturday to cheer on the final lead-up of the incomparable Winx at Flemington on her way to a fourth Cox Plate, now shaping as a formality. Meanwhile, Dale, Olive and Luke Pepper, whose horse Away She Goes is an early scratching, all have a common industry thread. All emerged as young, talented and ambitious foremen for Barbara Joseph before branching out for highly successful training careers. Dale competes with lightly-raced stablemates, Dream Builder and Rapture Miss, both last start regional winners. Barb is represented by consistent NZ-bred Athonis, and Olive with another last start winner Bella Deluxe. As always, Barb was buoyed as she continues tremendous success with her New Zealand connection. Two weeks ago Disturbance won the Dubbo Gold Cup at $31, and early last season Almost Court won six races since joining her stable, including the Listed Canberra Cup and a dead-heat city success. “Looking forward to a great day, seeing Winx again - freak, never seen anything like her and in the Highway we’ll be competitive with Athonis,” Barb enthused. “We certainly don’t want rain though, he’s not a wet tracker. "But he’s a tough on-pacer who is race fit and jumping out of his skin. His previous Highway placing was solid and out to the 1600m suits him. Barb was in the mood for a joke when confronted with racing against her previous foreman: “Damn, I’ve taught my protégés too much if they beat me! “she chuckled. Dale has the value runner in Rapture Miss. 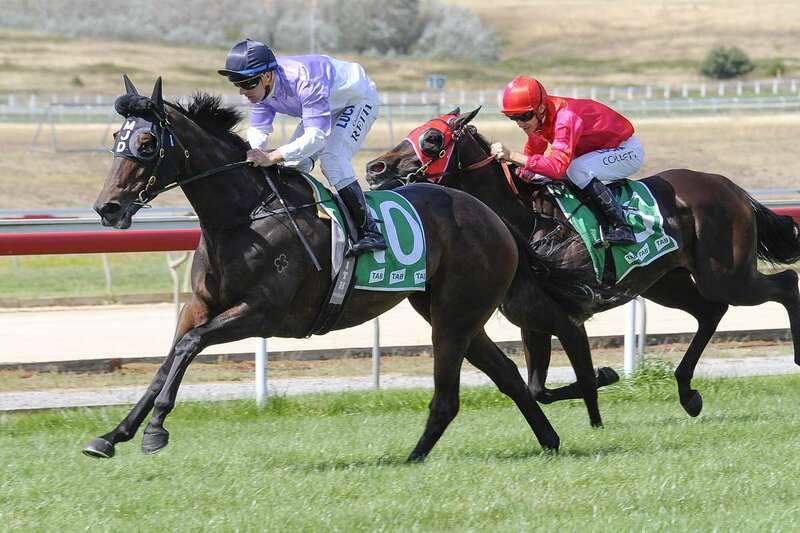 She was desperately unlucky to dead-heat and not win outright at Moruya two weeks ago. Previously she was a strong closer over 1400m in a recent headquarters Highway won by Gordon’s Leap, that indicates the mare will be ideally suited out to 1600m. Dale has won a dozen Highway races and his decision to return so soon to headquarters confirms her improvement and his confidence. And she’ll be big odds. A capacity field and four emergencies result in one of the most open Highway races since inception. At present, Royal Randwick is rated a Good 3 but this will change with a stack of rain predicted for Sydney during Thursday and Friday.